And they glow in the dark too. Most of my nails are upside down in this photo but my ring finger is the right way up, and I'm not sure if you can read it, my glow in the dark photo skills leave a lot to be desired, but it says "Where's the pie?" and it has little pictures of pies. I absolutely love them and am now craving a pie! 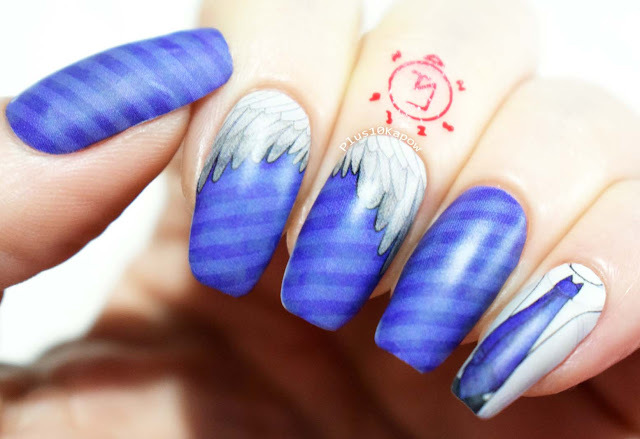 Are you a fan of Supernatural? 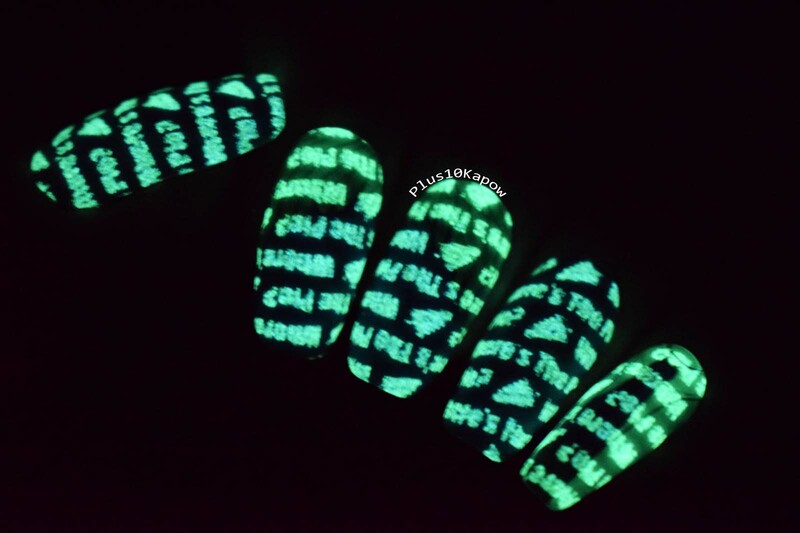 These awesome Seraph nail wraps are still available from Espionage Cosmetics, you can find them here, and while you're there check out their Featured Sale which has nails wraps from $5 including the licensed Sonic wrap sets. Oh, and don't forget that you can use code PLUS10KAPOW to get 15% off and order of $25 or more.